The Indian Navy Sailor entry for Artificer Apprentice (AA) Recruitment (Bharti) 2018. Course commencing August 2018. The applications are invited from Indian Unmarried male candidates for the recruitment of Artificer Apprentice. The applications are available Online only and course will be commencing in August 2018. Educational Qualification:- Must have 60% in 10+2 examination with Maths and Physics and one of these subjects: Chemistry/Biology/Computer Science. Age limit: Candidates born between 01 August 1998 to 31 July 2001, are eligible for this recruitment drive. How to apply Online Indian Navy Artificer Apprentice recruitment? Applications are available only Online on the official Indian Navy website ww.joinindiannavy.gov.in from 27 Nov 2017 to 10 December 2017. While applying online you need to keep 10th class certificate and 10+2 marksheet ready. If you are not already registered then you need to register first with your E-mail ID. Fill all the required field in the application form and upload scaned documents. You must have scaned photograph having blue background. The Indian Navy organize Recruitment every year two times for each selection. in this chapter we will describe selection procedure first and then Recruitment chart of the every year. First of all we need to know type of Airmen selection. 1 SSR = Senior Secondary Recruit. 4 NMR = Non-Matric Recruit. 6 AA = Artificer Apprentices. Recruitment Notification :- Advertisement of Navy recruitment is advertised in Employment News paper and all leading National/Regional Newspaper in Dec/January and June/July every year. The application form is published on official website or Nation/regional Newspapers. you can download valid format of the application form Indian Navy website from the date of advertisement for the respective batch. After filling up application form sent it to the respective authority through ordinary post. Note:- Application sent by speed post/registered post or couriers will be rejected. 1. Application must be filled in capital letter with one recent passport size photograph with the candidate name written on the attached along with the form. 2. Copy of following documents attested by Gazetted officer only, including name, designation and phon number below signature. (I) mark sheet and certificate of diploma. and another envelope without stamp is to be submitted along with the application form. (White colour envelop for AA entry and brown colour for SSR/MR/NMR entry) on top of the envelope containing the application the type of Entry, Name, of district, Percentage in exam and name of exam passed. Note:- The application will be short listed as per higher education and percentage of marks. Eligible shortlisted candidates are sent Call-Up letters, indicating date, time and place for examination as scheduled. The shortlisted candidates can also download their admit card from this website. Written exam is conducted at the designated center on the promulgated date and time. The question paper will be bilingual (Hindi & English) and of objective type. The question paper will comprise of four sections for Artificer Apprentice, Senior Secondary Recruit entry and Matric Recruit entry i.e. English, Science, Mathematics and General Knowledge and will be of 60 minutes duration. In case of Non Matric entry the question paper will comprise of two sections i.e. Mathematics and General Knowledge and will be of 40 minutes duration. The candidates are required to pass in all sections and in aggregate. The syllabus for each type of entry is given in the download section. PFT will consist of 1.6 Km run to be completed in 7 minutes, 25 squat ups (Uthak Baithak) and 10 Push-ups. Candidates undergoing PFT will do so at their own risk. The results of the Written Test are generally declared on the same day. Those who qualify Written Test are permitted to undergo PFT and only those who qualify PFT are taken for Medical Examination. Entry level Medical standards are different for different entries. Medical examination will be conducted by authorized military doctors as per medical standard prescribed in current regulations applicable to sailors on entry. Candidates declared Temporary unfit during Medicals in the recruitment medical examination can avail specialist review from the specified Military hospital within a maximum period of 21 days. No further review/ appeal is permissible. Those candidates who are declared medically permanent unfit can appeal for specialist opinion in a Military Hospital on payment of Rs.40 by Military Receivable Order (MRO) in the Government Treasury within 21 days. Medical fitness certificate from other than that of the specialist opinion in the designated Military Hospital will NOT be considered. This whole process is generally completed on the same day but it may also take 3-4 days time depending on the service requirements or due to unforeseen contingencies. An all India Merit List of all those candidates who are qualified in all respects will be prepared at IHQ MOD (Navy), New Delhi depending upon the numbers to be inducted. Out of this list the centre wise select list of candidates will be displayed in the respective Recruitment Centers. 1. Candidates who send more than one application for the same entry or apply for more than one examination centre will be disqualified. 2. The candidature of candidates selected is valid for the current batch only. All India Merit List pertaining to the advertised batch is valid ONLY for the advertised batch. Qualified candidates whose names do not appear in the final merit list cannot claim admission for the next batch. These candidates will have to undergo the selection procedure afresh provided they meet the eligibility criteria for the fresh batch. 3. Call letter for final medical examination will be forwarded only to medically qualified candidates in the select list. Unsuccessful candidates will not be intimated separately. can you tell me how many vacancy for NMR ,MR batch in navy???? 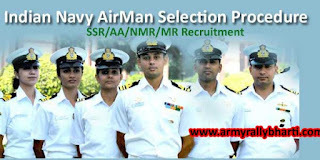 plz tell me what is the last cuttoff percentage of 10 class maharstra state for MR &NMR NAVY recruitment?? ?